Great communication prior arrival, recommendations. This was one of the best apartment I have ever stayed and the quality was just amazing. Location was amazing everything in only few steps away. Will stay here again for sure! Nice place, great location, very comfortable. I would stay here again! The best accomodation in town! Perfect location, friendly, caring and amasing hosts, beautiful, stylish and spacious apartment, way best value for money!! Highly recommended!! Modern, convenient, clean, efficient. The host gave us helpful suggestions to see the old town. Good location, clean room with good facilities. The host was nice, he sent a email in advance to tell me how to access the apartment when we arrived late and help to book a taxi to the airport when we need to leave early. We took 2 apartments for a full week, the hosts are very pleasant and the greeted us as we arrived. 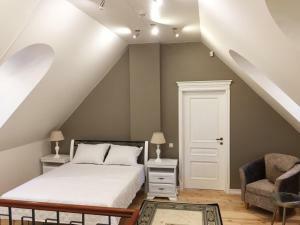 The apartment is in the center of Vilnius, close to Gidimino and the old town, you can walk anywhere from there. The place is clean and tidy. Kitchen is well equipped and there is a supermarket 200 meters from the apartment, which is very useful if you want to make some meals inside the place. I would recommend it to anyone visiting Vilnius. Great location. Lovely apartment. Everything is comfortable. I recommend this apartment. Lock in a great price for Apartments Satva – rated 9.8 by recent guests! One of our top picks in Vilnius – and a guest favorite. 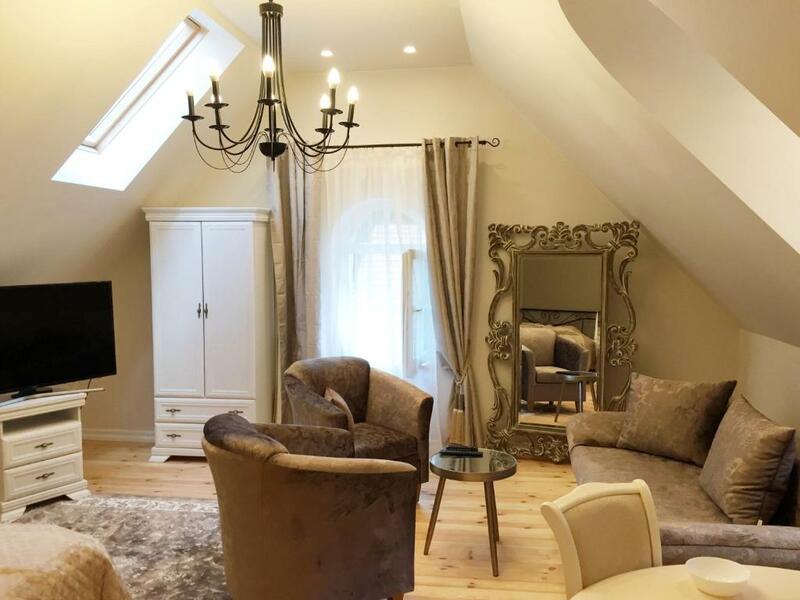 Located in Vilnius, Apartments Satva is 1,950 feet from Gediminas' Tower, as well as Lithuanian National Opera and Ballet Theater. The Presidential Palace is 650 feet away, while the Cathedral Square and the Royal Palace are 1,000 feet from Apartments Satva. Free WiFi is featured. The accommodations is fitted with a seating area. All units feature a dining area and patio. A dishwasher, a microwave and toaster are also available, as well as a kettle. Some units also have a kitchen, equipped with a fridge. There is a private bathroom with free toiletries and a hairdryer. Towels are provided. 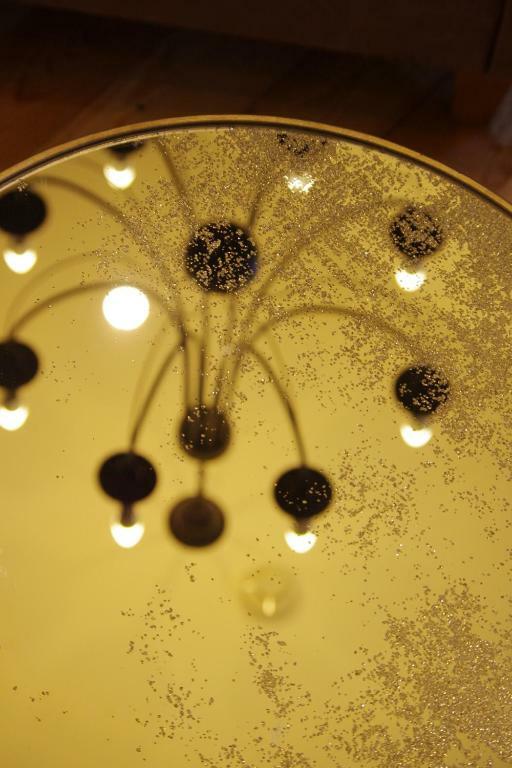 Guests receive a 10% discount for meals at the restaurant Trattoria Da Flavio. Various bars, restaurants, a bakery and a grocery shop is located within a walking distance from the property. There is an on-site and off-site parking by the property too. Museum of Genocide Victims is 2,950 feet from Apartments Satva, while Lithuanian Exhibition and Convention Center LITEXPO is 2.4 mi away. 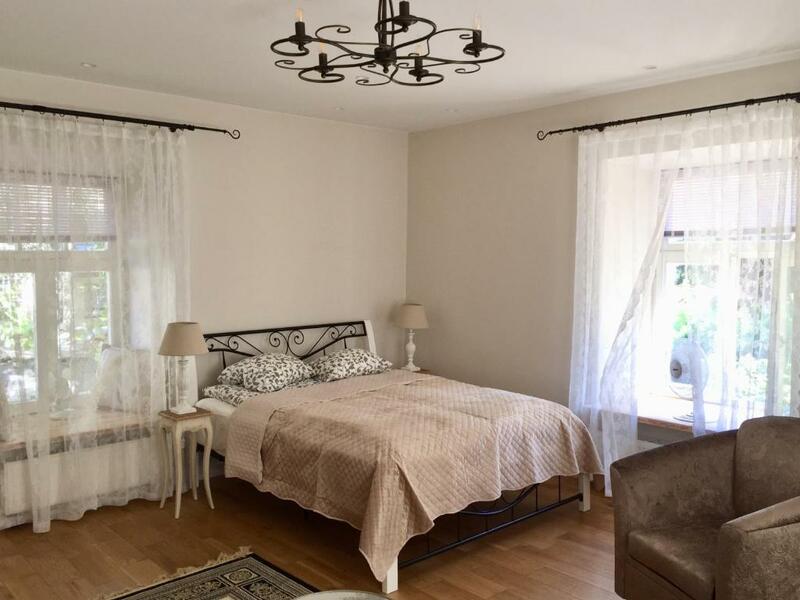 The nearest airport is Vilnius Airport, 3.1 mi from Apartments Satva. 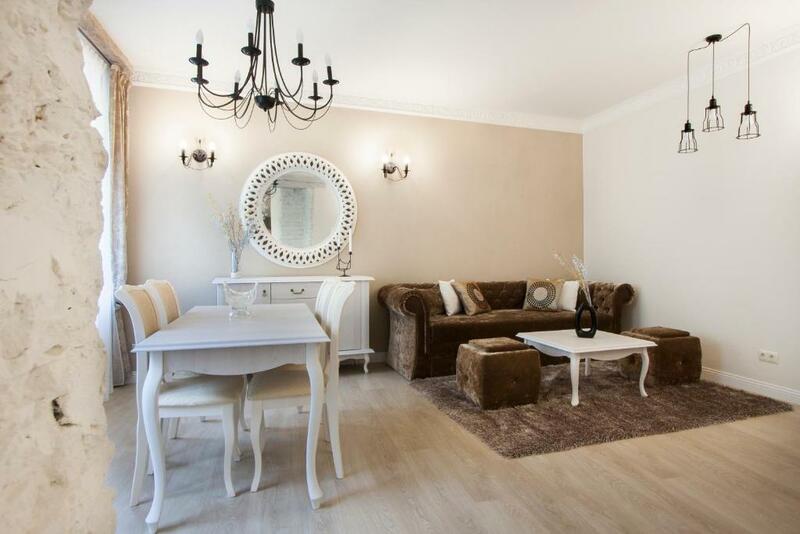 뀐 Located in the real heart of Vilnius, this property has an excellent location score of 9.8! 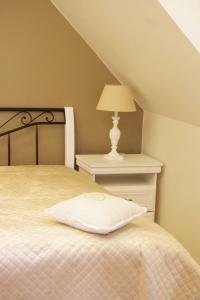 When would you like to stay at Apartments Satva? There is an external private bathroom located next to the room in the hall. The apartment is located in a historic 19th century. built in the merchant house. They completely renovated in 2016 and modernly equipped. Towards the interior of the apartments tried to preserve the ancient elements and bring them into line with modern solutions. All apartments are comfortable and have separate entrances from the common hall. SATVA Old Town Apartments is located in the city center, from here you can walk to reach all the most beautiful and spectacular places of Old Town, and in the evening through the apartment windows to listen to the Vilnius church bells koreliono every apartment is equipped with modern kitchen area, those who want to eat at home, near family will find a cozy brasserie Totorino where our guests get 10 percent. discount food and drinks. This is a family suite. This is our family business. Therefore, every guest is important to us and accepted with love and respect. When installing apartments we held them in such a way that we would like to live in themselves and use them, I think our guests will appreciate it. :) I am Irene, mainly take care of the apartments wellbeing. I am an artist who crowns from Lithuania fields grown herbs and flowers. Our suites, guests will find SATVA Art Crafts and if prefer to be able to buy them. Our apartments name reflects what guests will find with us - comfort, love and warmth of home. 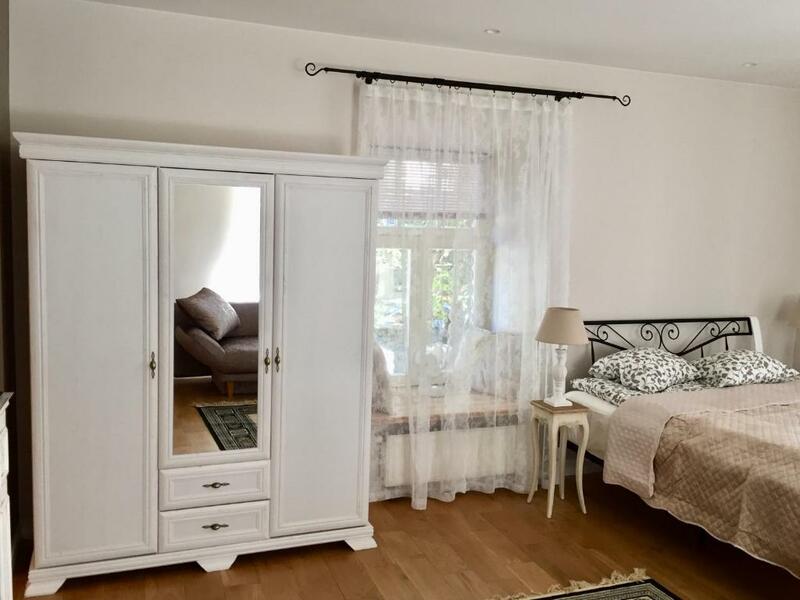 Apartments SATVA Old Town is located in the Old Town of Vilnius, next to the Presidential Palace and Cathedral Square, Gediminas Tower and the Royal Palace. This is one of the safest places in Vilnius, because there is constantly a lot of foreign tourists and visitors. 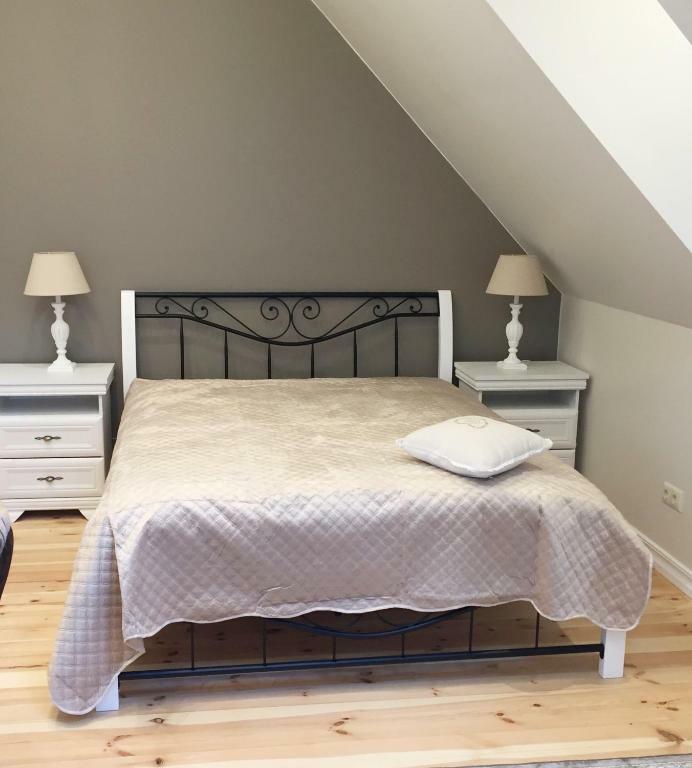 SATVA apartments are located in a small (2 floors) merchant in the 19th century building, which is on the ground floor antiques shop, and a cozy restaurant Totorino (working hours from 10 to 23 hours), in which the apartment guests receive a 10 percent discount on food and beverages. Tartar street It connects Gediminas Avenue, the main city ​​street, with the country's Presidential Palace. It is rich in small and cozy cafes, shops and art galleries. 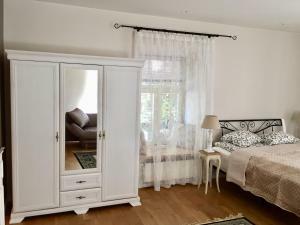 In addition to the apartments located in a beauty salon, a 5-minute walk and guests will find a small Grocery Store Maxima X nearby Gediminas Avenue shopping amateur ?? it will find a modern shopping center GO9, which is located in the H & M, Ahold and others. In addition to the street of Vilnius and Iceland, where the main nightclubs and a plethora of restaurants and cafes. House Rules Apartments Satva takes special requests – add in the next step! Apartments Satva accepts these cards and reserves the right to temporarily hold an amount prior to arrival. Please note that cars can be parked in the inner courtyard only when you have an individual approval. Please note that parties and events are strictly prohibited on the premises. Please inform Apartments Satva of your expected arrival time in advance. You can use the Special Requests box when booking, or contact the property directly using the contact details in your confirmation. Very beautiful apartment. Modern home appliances, warm and cozy. We got a text message in advance, containing information about how we could enter the building and the apartment. Later that week we met the host, a kind man who gave us advice about places to visit. The apartment was clean, the bed was great. Apartment was located in the centre of Vilnius, however, there wasn't a lot of noise in the nights. Supermarket and coffee shop nearby. We had to catch our flight in the middle of the night, so the host ordered a taxi for us. The property was really great and convinient. I want to emphasize the friendly host, who was always online to answer our questions and with friendly attitude. Everything was excellent! 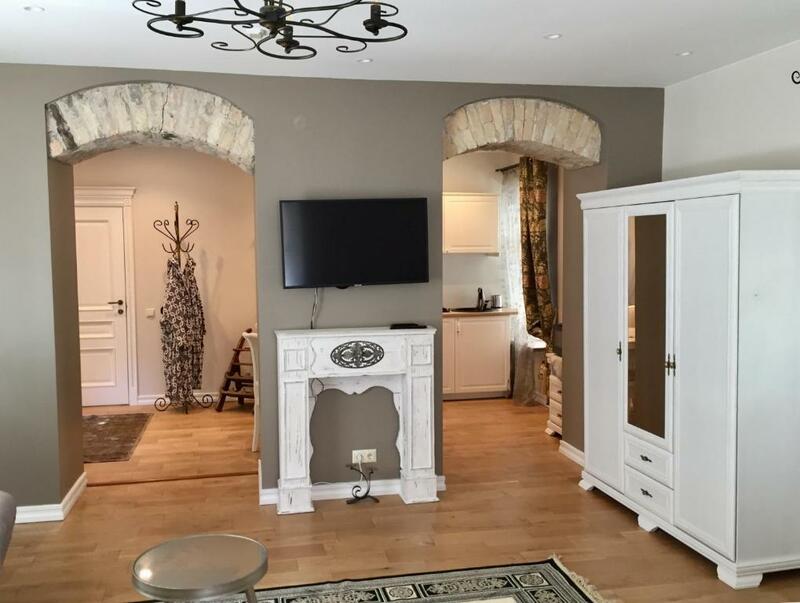 Very nice and clean apartments in ideal place in the old town. 5 min to everything. Responsive and cordail host with perfect recommendations about places to go and eat. Over expectations! Noise from road, poorly insulated due to large vent on window and unfortunately didn't sleep well. No oven. Good location, large apartment. Managed to arrange late check out. We absolutely loved this place. Apartment was very cosy. All points of interest were just a few mins away. Very helpful hosts. Big thanks for the parking.